The Crime Writers’ Association this evening announced the shortlists for a number of this year’s Daggers at a reception during Crimefest in Bristol. The winners will be announced at an event staged alongside the Theakstons Old Peculier Crime Writing Festival, Harrogate, on Friday July 22. 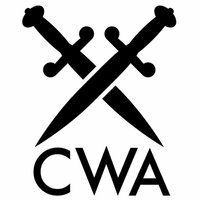 That ceremony will also see the announcement of the shortlists for the three remaining CWA Daggers: the Gold, the Ian Fleming Steel and the John Creasey, for the best first novel. This is a competition for crime, thriller, suspense or spy fiction novels which have been translated into English from their original language, for UK publication. Edward Hardwicke, Dr. Watson: R.I.P.